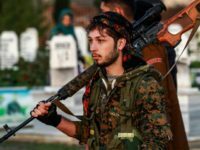 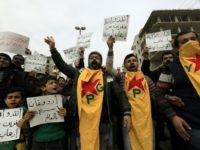 The U.S. special envoy for Syria, James Jeffrey, used a speech at the Atlantic Council on Tuesday to describe American support for armed Kurdish groups in Syria as “transactional” and temporary. 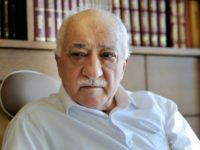 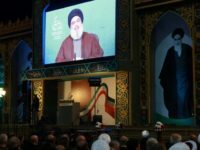 ISTANBUL — Turkey’s foreign minister is expressing impatience with the United States for not extraditing a cleric whom the Turkish government alleges masterminded a failed 2016 coup. 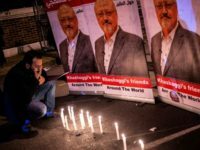 Saudi Arabia’s public prosecutor announced on Thursday the government will seek the death penalty against five of the suspects charged in the slaying of Wall Street Journal contributor Jamal Khashoggi at the Saudi consulate in Istanbul last month. 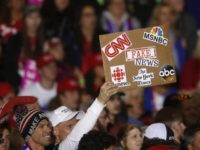 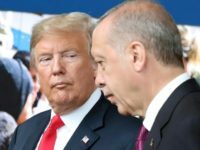 President Donald Trump and Turkish President Recep Tayyip Erdogan dined together on November 10 and discussed the murder of Washington Post contributor Jamal Khashoggi, according to White House officials. 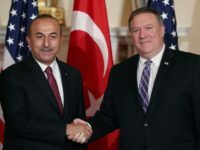 U.S. Secretary of State Mike Pompeo met with his Turkish counterpart, Foreign Minister Mevlüt Çavuşoğlu, on Friday and left the meeting agreeing to “resolve” the unspecified “issues” between them, paramount among them the sanctions Washington imposed on Ankara this week. 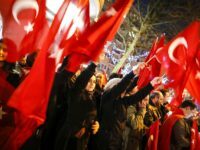 ISTANBUL (AP) – The Latest on the referendum in Turkey, set to decide whether more power should be concentrated in the hands of the president. 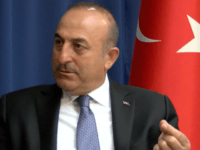 WASHINGTON, D.C. – Turkish Foreign Minister Mevlüt Çavuşoğlu says Turkey has been “very clear” in explaining its presence in Syria: to defeat the Islamic State. 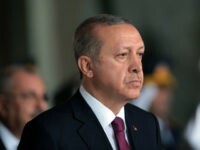 WASHINGTON, D.C. – Turkish Foreign Minister Mevlüt Çavuşoğlu said President Recep Tayyip Erdoğan currently wields significant power but “no responsibility,” adding that the upcoming April 16 referendum is designed to change that, during a sit-down interview with Breitbart News at the National Press Club in D.C. on Tuesday. 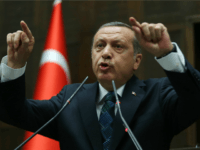 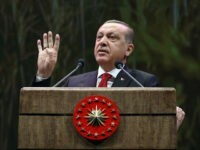 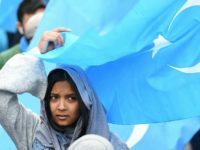 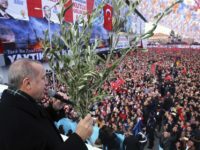 The Swedish government has bowed to Turkish pressure, allowing the country’s Islamist government to organise rallies supporting a huge increase in powers for President Recep Tayyip Erdoğan on its soil. 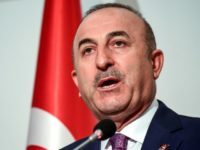 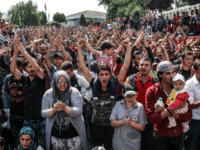 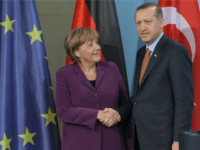 The Turkish Foreign Minister has said that his country is prepared to once again allow migrants passage into Europe if Turks are not permitted to travel in the European Union (EU) without visas. 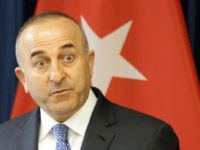 Turkey’s Foreign Minister, Mevlut Cavusoglu, formally announced the much-heralded Russian-Turkish-Iranian peace plan for Syria on Wednesday, with Russia claiming it has support from the United Nations. 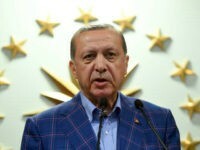 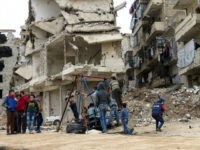 However, Turkey’s insistence that dictator Bashar Assad cannot be part of Syria’s long-term future may not sit well with Moscow. 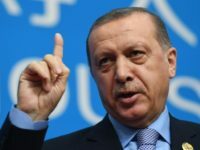 Israel and Turkey this week will begin the process of exchanging ambassadors as the former allies continued the formal renewal of diplomatic relations after a six-year rift, Turkey’s foreign minister said Tuesday.